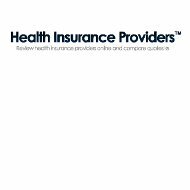 Looking for health care insurance in your area? Simply click here and enter your zip code to get started comparing health insurance rates now. First Continental was founded in 1997 with the opening of its first office outside Houston, Texas where it offered one dental HMO plan. The company has seen significant growth since that time and currently has offices in operation in Baton Rouge, Louisiana, Memphis, Tennessee, and Kansas City, Missouri, in addition to the Texas office. FCL now provides services to employers and individual customers in 23 states. First Continental has a wide variety of plans that they now offer, as well, and operate with a philosophy that everyone is an individual with unique health and dental needs. The company believes in speaking with each customer to develop a plan that suits their needs best. While the company has grown a lot over the years, they believe in maintaining a size that allows them to attend personally to each customer. They are proud to say that you will always have the phone answered by an actual person and not a computer when you call. If you wish to contact First Continental for more information, you can do so via mail or phone. The following is the contact information for the company’s headquarters in Texas. If you wish to contact one of their other offices, you can find that information on their dental website. To reach a sales representative for information on specific plans or pricing options you may call (281) 313-7170. The company also has a form that can be found on its website for online inquiries. First Continental offers several types of dental insurance plans for both groups and individuals. Their plans are designed to offer comprehensive coverage options at prices that are affordable without sacrificing decent dental care. If your general dentist recommends a specialist, FCL will provide a network specialist at 75-80% or the normal specialist fees. These are a new plan option offered by First Continental. It is currently offered only to employee groups and not private individuals. With a PPO plan, you get the aspects offered by the DHMO plus a broader network of dental care providers. A unique feature of First Continental is a hotline that is staffed by representatives whose sole responsibility is assisting members and answering any questions you may have. This hotline is staffed 40 hours per week from 8am to 5pm, Monday through Friday. The staff is bilingual and speaks both English and Spanish. Language translation is available if you speak a language other than these. The hotline also states they offer a prompt response to messages left after hours, and have a prompt complain resolution rate. The hotline numbers vary depending on the state you are in or network you are working with. Find health care insurance providers in your area. Simply click here and enter your zip code to get started comparing health insurance rates now.